Hey there. Just a couple things to share today. There should be a lot more on the blog later this week as I have a couple of different hikes planned…which I’m totally excited about. First up, COOKIES. 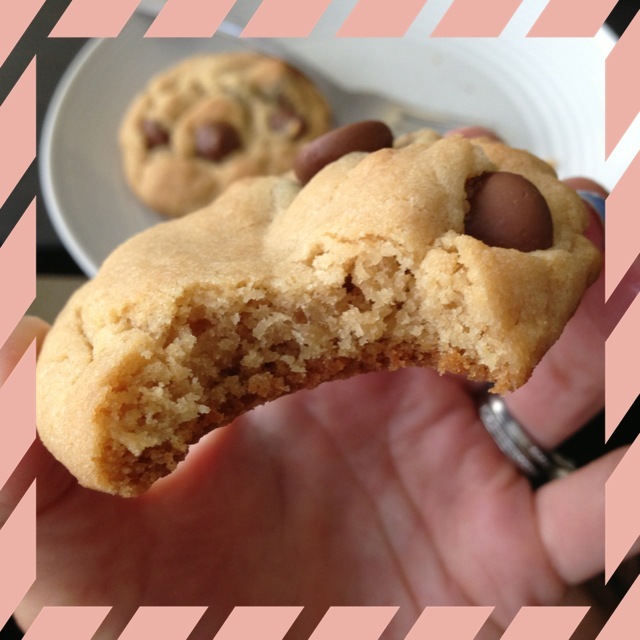 I’m a huge fan of them and whenever I want something sweet around the house, a big batch of chocolate chip cookies is usually my go-to. Partially because I can eat the dough and cookies don’t take that long to bake. Well, lately, I have been using this recipe. Except I have never included the corn starch since I never had any in the house and none of my previous recipes included it in the list of ingredients, so I figured it wouldn’t hurt to skip. And trust me, it didn’t. Tyler and I managed to force feed ourselves about 2 dozen different batches without the corn starch and we’re still alive and kicking. But yesterday I went to the store and mindfully purchased a canister of corn starch to see just how different the batch would turn out. And yup….they’re chewy motherfluffers. Like SOOOO good. Second: My daily workouts have consisted of Hot Yoga and either an outdoor run or intervals on the treadmill. It’s been working wonders for my body and I totally love it. It has been over a week since I did any strength training- which is totally weird for me- but I will probably incorporate it back into the old routine sooner or later. I find that my muscles are getting a pretty good workout in yoga. Especially with all those chaturangas! 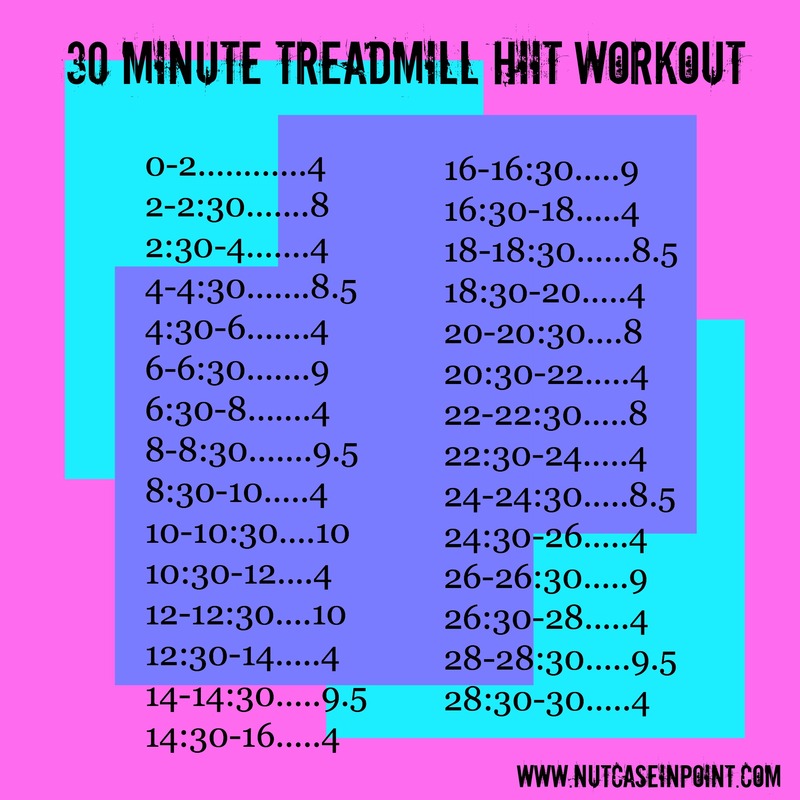 The left columns are the time and the right columns are the treadmill speed. You can obviously change the speeds to tailor your specific needs, but you get the idea how the intervals get progressively faster, then slower, then faster again. I loved it, and I felt nice and limber heading into yoga later in the evening. If anyone gives this a go, let me know! Favorite way to pass time on the treadmill? Do u like yoga sculpt classes? They are a mix of yoga (pretty basic) with light weights, in a heated room, with high intensity bursts of cardio! Awesome! I’ve heard of them but I haven’t found any classes in my area! Would love to try though.. I am still on the yoga train– I can really feel the burn during the chaturangas too! I cant even remember the last time I made cookies, those look awesome.